There's nothing better than being able to wow your customers by getting up to speed on an issue in the blink of an eye. How did he remember my account information, time zone, and our license number from our conversation 4 months ago? But as every great customer success or customer support manager knows, keeping track of historical customer data isn't so simple if your customer information is scattered across different tools and apps. That's why teams love using Front to bring all their customer conversations and data directly into their inboxes. To take this consistency to the next level and sync data from Front across every app your team uses, you can integrate Front with PieSync. Read on to learn how to sync contact data using Front and PieSync, plus get a few examples of how Front customers are using the integration to wow their customers in every conversation. PieSync helps sync your contacts between Front and over 160+ other business apps two-way and in real time. The integration is useful whether you centralize contacts in Front and want to keep them in sync with other apps, or, the other way around – if contacts need to be fed from other apps into Front. During your first sync, PieSync can merge your duplicate contacts and sync your historical data. Afterward, the engine will be constantly searching for updates in contacts in both applications. So if you connect all your tools, you’ll always have the most up-to-date customer information, no matter who entered the data or on which device or tool are you in. You are in full control of the sync. You can decide to sync the complete database of one app, or just a subset according to tags or attributes of a contact. Some Front customers have created some pretty creative syncs using the PieSync integration, enabling their teams to stay aligned and their customers to get a better experience. Ben’s IT consulting firm is growing fast. He and his team store most of their data in Front team inbox. However, many of their prospects and clients are Ben’s old colleagues, and a smaller group comes from his team’s personal network. Those contacts are in Google Contacts accounts. He created a 2-way sync between Front and his Google Contacts account. In a second connection, that account syncs with all his other teammates’ Google Contacts accounts. These syncs guarantee that their database is always complete and up-to-date, especially on their phones. Next to Front and Google Contacts, Ben integrates Aircall into Front as a phone system. He wants to make sure whenever someone calls, they know all the information about the prospect or customer. That’s why he decided to also connect Aircall to his Google Contact. Now if a call comes in, the Aircall system can immediately caller-ID those customers. Charles runs a real estate agency. He set up six syncs between Front and ActiveCampaign, their marketing engine. Each Front team manages their own contact database, and all of those contacts can be sent to the single ActiveCampaign database. Rebecca runs a SaaS business. With Intercom on her website, she reads various customer data like user activity, device information, and social identifiers. She needs all of that information directed into Front to deliver the excellent customer care she is known for. She relies on the custom mapping feature of PieSync to bring over 15 customer attributes or tags into custom contact attributes. Rebecca uses PieSync to bring attributes from Intercom into Front, so she can have all that information at the ready when she's emailing customers. For her CRM, Rebecca uses Pipedrive, which also integrates with Front. Using a two-way sync in PieSync, all of Front's information (22 attributes, including Intercom's data!) is instantly sent to Pipedrive. Jessica works for a video agency. Her website visitors can talk to her through Intercom, which generate leads. She uses PieSync to sync new website visitors with Front and migrate past support conversations she’s had through Intercom. That way every conversation lives in one place: Front. Jessica's CRM is Pipedrive. She has a group of contacts in Front with the label “Pipedrive Contacts” where she stores all the customer data of her CRM. Finally, in a sync irrelevant to Front, but nice to point out here in the complete scheme of things, she automatically synced a list of contacts from Pipedrive to a Mailchimp distribution list. Now she can send these contacts marketing emails. Ready to sync your apps with Front using PieSync? The Front PieSync integration is secure and easy to set up – there’s no coding required. 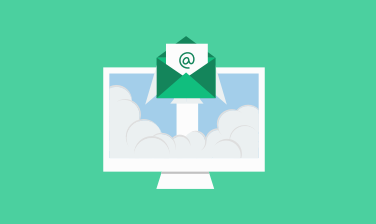 If you have questions along the way, shoot us an email or visit PieSync’s Support Center. We're happy to help. Happy syncing! This article is a guest post for the Front Blog, thanks to Aron Gosselin from PieSync. Looking to connect even more of your apps and workflows to Front? Read how 4 teams built custom Front plugins to get more done in their inboxes.